The latest promotion on Influenster is the Beach Bash contest where Influenster users share their favourite summer beauty products on Instagram. We are trying out Influenster to see how difficult or easy is it to get a Voxbox of "free" full-sized items. As you can expect, there is hardly anything free in this world and if you want something, you probably have to work hard to get it. High quality reviews, that are honest and insightful will help increase your Impact score on Influenster. Basically numbers matter, not just the number of reviews but how active you are on multiple social media platforms on the topics of beauty- skincare, cosmetics and health. Increasing the number of followers on social media platforms using legitimate methods such as growing numbers organically instead of purchasing fans and followers or using bots to bump up numbers will benefit your personal brand reputation in the long term. There are no short-cuts to true success but nobody said it can't be fun when you really enjoy sharing and posting useful tips and tricks with people. Prep and prime your face with masks or treatment products before applying foundation on your face to create that perfect healthy skin glow. A decongested and clear skin helps make better make-up application. 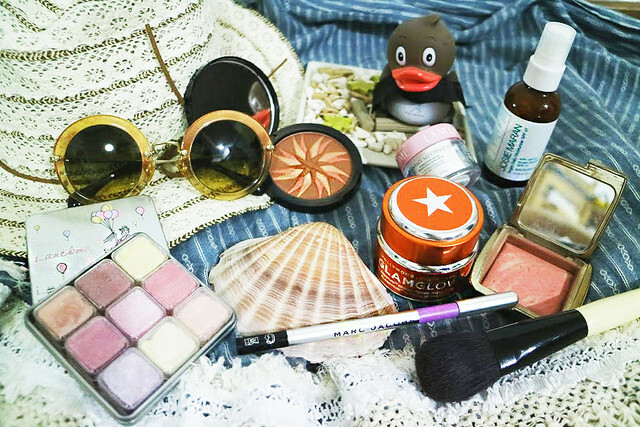 In addition, you would use less products on your face which will help achieve a more natural look. This limited edition eye and face highlighter has all pastel colours suitable for a neutral, toned-down but shimmering summer look. Glide the powdery pastel cubes over your cheekbones, cupid bow and eyelids for that sweet and romantic Parisian look. For intense highlighting results, layer on more product for a festival or costume-party look. This beautiful lavender tone crayon pencil eyeliner will create mesmerising eyes in a non-boring summer shade. The only down-side is the product does not gave much staying power in humid, tropical climates and tend to fade away if you have oily skin. This problem can be solved with a lid primer. has a light sparkle to it when applied to the skin. It is long-lasting and the intensity of the gorgeous blend of golden bronze colours can be adjusted depending on the application. This is a rich cream moisturiser with sunblock benefits which would probably be too oily for young to middle-age skin depending on your skin type. We prefer using it on the neck instead of the face during the day. This SPF-inclusive moisturiser is made with argan oil which absorbs into the skin afer 10 to 20 minutes. It is not as rich as the Lancome Bienfait sunscreen cream but does leave a shine to the face which disappears right after applying foundation. It makes a good moisturising foundation base and is a better alternative to Lancome in terms of the amount of natural ingredients inside. The must-have summer blush color has to be peach or coral tone and we found just the right one with natural pink undertones! The hourglass blush is matte-look although there is a little shimmering bits of glitter in it. This blush does not have strong orange tones hence its suitable for fair to medium skin types. rEALLy n-joy this article. girfriend this is good!